Respected leaders, professors, ladies and gentlemen, good afternoon! It is a season that autumn breezes send coolness to people and fruits are harvested. In this romantic and attractive season, we see the first Zhongfang International TCM Forum being held in our county, which is organized by the People’s government of Zhongfang County, undertook by Zhongfang Red Cross International Hospital, and supported by the governmental departments of TCM administration, Red Cross Society and Foreign Affairs Office at the municipal and provincial level. This is not only a grand meeting of academy and also that of culture. Please allow me, on behalf of the organizer and undertaker to express my warm welcome and cordial thanks to all the leaders and professors attending this meeting. TCM is the experience summarization gained by Chinese peoples in the fighting against diseases for thousands of years. It is the essence and treasure of Chinese culture. It is also the intelligence crystallization of our traditional Chinese culture and common fortune of the world people. TCM has contributed a lot for the prosperity and development of world medical science over the years and is gradually accepted by world people. As the only one hospital adhering to the treatment principle of pure Chinese medicine in Zhongfang County or even in Huaihua City, since its establishment, Zhongfang Red Cross International Hospital will make TCM culture as its foundation for the development of the hospital. They will clarify TCM from the views of dialectical unity and development, which gain appreciation of colleagues of TCM and praises of patients from home and abroad. The opening of this forum is an indication of their concentration on TCM and even an encouragement for the work of Zhongfang Red Cross International Hospital. We will work closely with the principal line of “basing on the ecological resources of Zhongfang County to build an International TCM City” and stick to the practice of “pure TCM science”. 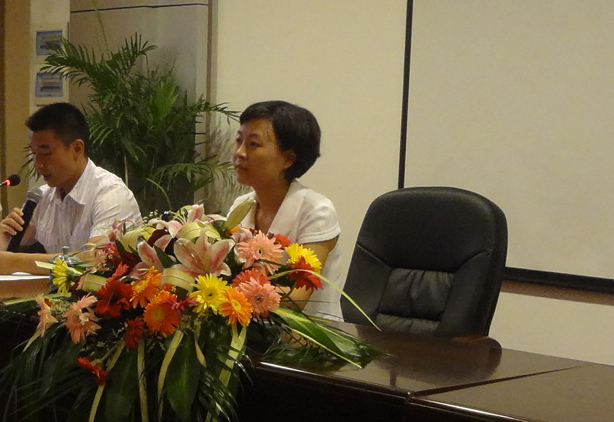 We will invite authoritative TCM experts and professors from home and abroad to make academic reports and exchanges. We will discuss the issues of Building the World TCM Exchange Base, Rehabilitation Base of Chronic and Difficult Diseases, and Clinical Practice Base of TCM, etc. This idea not only helps to produce the consensuses of the whole TCM industry, but also contributes to concentrate the joint power of the whole society. Meanwhile, hope Zhongfang Red Cross International Hospital cherishing this opportunity to enhance mutual exchanges and learning with authoritative TCM experts and professors, making efforts to improve its treatment level of TCM, and making more contributions to the development of TCM culture. At last, wish this academic exchange meeting be held successfully.